Cooking is a life skill everyone must learn. After all, you need to know how to feed yourself to survive. 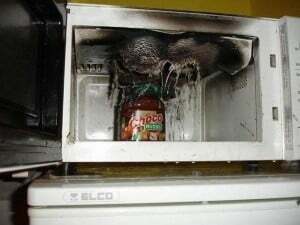 However, while some people excel at cooking, there are also others whose “hidden” cooking talents should remain hidden. If you’re feeling bad about your inability to cook delicious and gorgeous-looking dishes and desserts, check out these train wreck attempts at cooking made by people who should have ordered in. 1. 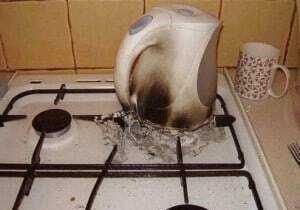 The person who don’t understand how electric kettle works. This person probably didn’t get the memo that you’re supposed to plug an electric kettle into an electrical outlet, not place it on top of a stove. 2. This person who created Phteven the hedgehog. Hedgehogs are supposed to be cute. 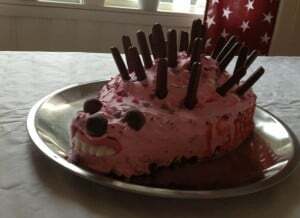 But if you’re going to create a cake inspired by this animal, make sure that it won’t look like it came straight out of a horror movie. Otherwise, you’ll be just like this person. 3. 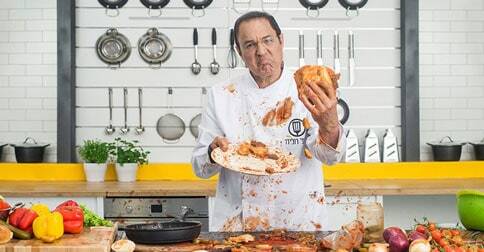 This person who forgot to use a pan. What happens when you bake a cake without using a pan? 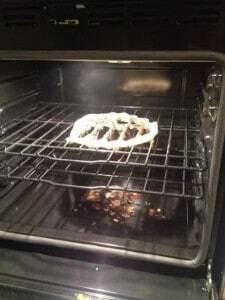 Yup, you’ll get your creation at the bottom of the oven, just like what happened to this master chef wannabe. 4. 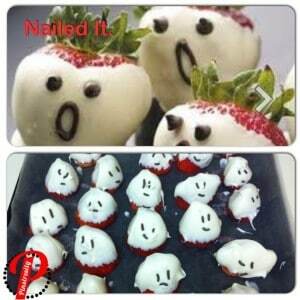 This person who made the saddest-looking strawberry treats. While these strawberries don’t look that horrible, they certainly looked like they’ve escaped from a video game. 5. This person who used the wrong method to heat up choco spread. What do you get when you use a microwave oven to heat up a choco spread? A ruined microwave oven that’s for sure. 6. This person who made turkey cookies and failed spectacularly. 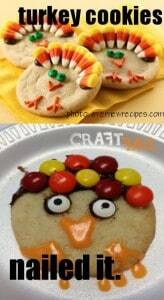 This aspiring chef wanted to make turkey cookies, just like what they saw on Pinterest. However, their creation ended up looking like a fat chicken wearing a shower cap. 7. 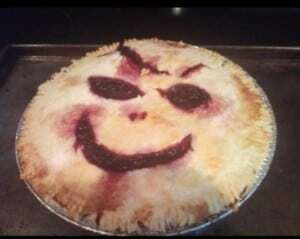 This person who made the creepiest blackberry pie. This person wanted to make a blackberry pie with a smiley face for his girlfriend. But to his dismay, what came out of the oven was perhaps the creepiest-looking blackberry pie ever. 8. 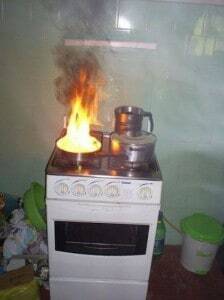 This person who took a picture of a burning stove. This aspiring chef clearly has interesting priorities as they consider taking a picture of their burning stove more important than putting the fire out first. 9. This person who forgot about his pizza. 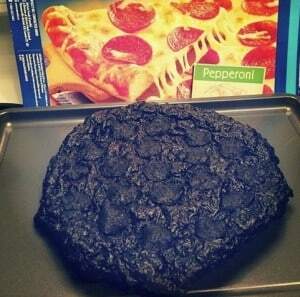 A burnt pizza is definitely what you get for falling asleep and forgetting about that thing in your oven. 10. 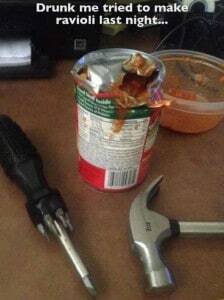 This person who forgot he has a can opener. This person obviously had too many to drink as he attempted to open a can of tomato sauce with a screw driver.